Quality Service at Reasonable Rates! 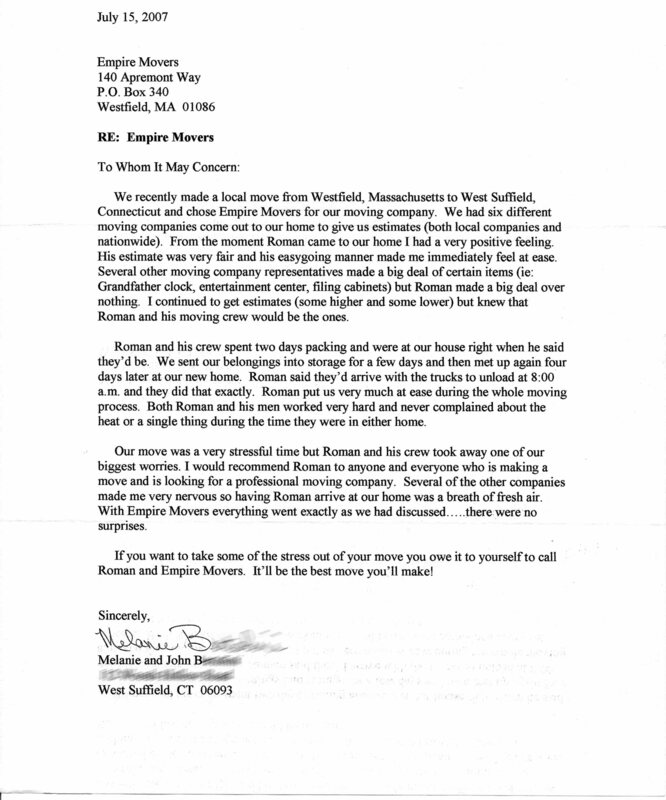 Empire Movers & Storage LLC, is a locally owned and operated full service moving company out of Westfield, MA. We specialize in local moving, long-distance moves, residential & commercial moving, office relocations, and we are experienced pianos and antiques movers. We understand that the process of moving locally or long distance can be a stressful time. However the process of picking a moving company shouldn’t be. That’s why with Empire Movers & Storage LLC, you will find a reliable, professional & experienced moving company that excels in taking care of your possessions and making your move as smooth and stress-free as possible. When you choose Empire Movers & Storage LLC, you will receive the highest level of service from start to finish. So, why not make the easy choice and place your possessions in the right hands, with us for your next move.